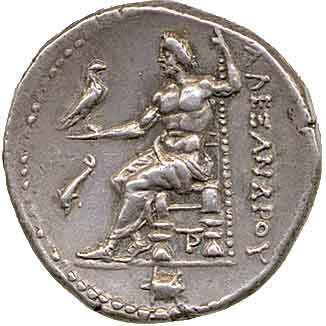 1) How can Alexander I be Greek if he is called a Philhellene? Isn’t that mutually exclusive? 2) Wasn’t there a Macedonian language distinct from Greek? 3) But what about the stories told by Quintus Curtius and Plutarch? 4) Even if the kings of Macedonia became Hellenized, doesn’t the language and culture of the common people show a non-Greek basis? 5) Doesn’t Demosthenes call Philip a “barbarian”; that is, a non-Greek? 6) Isn’t there a distinction made in the sources between Greeks and Macedonians? 7) How could Philip fight against the Greeks at Chaironeia if he were a true Greek? 8) Since Aristotle states that barbarians are slaves by nature (e.g. Politics I.ii.18 [1255a29]) does it make sense that, if Philip were a barbarian and non-Greek, he would have hired Aristotle to teach his son? 9) What do the names Philip and Alexander mean? 10) If the Macedonians were Greek, why did they call themselves Macedonians? 11) Doesn't Herodotus support modern genetics research that shows that Greeks are related to Sub-Saharan peoples while Macedonians are related to Mediterranean peoples? If you have more questions about ancient Macedonian history, you can ask the historians by emailing to SavingAlexander@macedonia-evidence.org. Answers will be published in this FAQ. A philhellene (φιλέλλην) or Greek-lover is frequently used of non-Greeks, but it is also well known as descriptive of Greeks who sacrifice themselves for the common good. For example, in setting up his ideal state, Plato prescribes that the citizens are to be both Greek and Philhellenes (Republic 470E). But the word is also used to describe specific historical characters such as Agesilaus of Sparta who as a good Greek was a philhellene (Xenophon, Agesilaus 7.4). See further Liddell, Scott, Jones, A Greek-English Lexicon sv. φιλέλλην). No. The inscriptions from Macedonia are all written either in Attic (koine) Greek, or a Greek dialect showing affinities both with the north-western ('Doric') dialects of Epirus and with the north-eastern ('Aeolic') dialects of Thessaly. This is the Macedonian dialect of Greek. If the ancient documents preserved today on stone reveal only those two possibilities, there is clearly no basis for a separate language. It may be noted that Plato (Protagoras 341C), in referring to the Aeolic dialect of Lesbian authors, calls it “barbaric” by which he may intend crude or rough, but Greek all the same. It might be noted that when the Roman conqueror in 167 B.C., Aemilius Paulus, called together representatives of the defeated Macedonian communities, his Latin pronouncements were translated for the benefit of the assembled Macedonians into Greek (Livy 45.29). Quintus Curtius (6.9.34-36) has Alexander give the conspirator Philotas the chance to defend himself before his Macedonian troops, and asks if Philotas will speak to them in their native tongue (patrio sermone in the Latin). There is, however, no way to know if the reference is to a separate language, or to a dialect of Greek. The ancient text would allow either interpretation. The same is true when, in the middle of the Kleitos episode, Alexander calls out to his guards in “Macedonian” (Plutarch, Alexander 51.6), and when Macedonian soldiers hail Eumenes in “Macedonian” (Plutarch, Eumenes 14.5). In every case, Macedonian could be a Greek dialect rather than a different language. These stories cannot be used as proof of a Macedonian non-Greek language, but instead they refer to a Macedonian dialect of Greek. So, for example this passage "we two will speak like the people of Parnassos - we will imitate the Phokian tongue" (Aeschylus, Libation Bearers 563-564), mentions the Phokian dialect of Greek, not a non-Greek language, used by the people who lived on Mt. Parnassus. This question is often asked of Macedonia, but not of the helots of Laconia or the penestai of Thessaly. In fact, there is no evidence that the commoners of Macedonia were not Greek, even if definitive proof of their ethnicity is not preserved. But the evidence grows – both from archaeological artifacts and from linguistics – that they were Greek. Note, for example, the curse-tablet of the 4th century B.C. which was discovered in a common grave in Pella and is written in what was a Macedonian dialect of Greek. See the article "The speech of the ancient Macedonians, in the light of recent epigraphic discoveries". Yes, but this is a political distinction, not an ethnic one. After the Battle of Chaironeia in 338 B.C. Philip formed a “Hellenic League” (frequently called the “League of Corinth” by modern scholars after the site of its first meeting). He was the leader (ηγεμών) of the league, but he had been and still was the king (βασιλεύς) of the Macedonians. There was, in other words, a very marked difference in the relationship between Philip and his allies on the one hand, and his subjects on the other. The League was largely about preparations for and participation in the invasion of the Persian Empire, and the number of votes of the various Greek states or regions was assigned on the basis of the size of the military contribution of each. Membership in the League was, at least in theory, voluntary, and Sparta refused to join and was not forced to. But the Macedonian contingent was present as subjects to their king. In other words, the distinction was not that the Macedonians were not Greek, but that the allied Greeks were not Macedonians, and Alexander retained his father’s institutions. One consequence of this arrangement is to be recognized in the dedications made by “Alexander and the Greeks” (Arrian, Anabasis 1.16.7 and Plutarch, Alexander 16.18). This is the same distinction as the one between the Macedonians (=Alexander) and the Greeks. For the sources and good commentary on some of the more difficult evidence, see M.N. Tod, Greek Historical Inscriptions II, no. 177. For more complete narrative accounts see J.R. Ellis, Philip II and Macedonian Imperialism 204-209 and I. Worthington, Philip II of Macedonia 158-163. In the same way that Greeks fought one another so many times including the most famous example of the Spartans vs. the Athenians in the Peloponnesian War. But Philip was actually at Chaironeia on the invitation of the Delphic Amphiktyonic Council. Already in 346 B.C. he had settled the Third Sacred War in favor of the Council, and been awarded a seat on that council (where no non-Greek ever served). Now, in 338 B.C., the Amphikytonic Council called upon him again, and it is Demosthenes, the Philip-hater, who records the actual decree of invitation from the Council (De Corona 18,155). The two sides in the battle were totally Greek. One side (the ultimate losers) was led by Athens and Thebes which together supplied more than 60% of the forces. They were joined by Corinth, Megara, Akarnania, Phokis, Achaia, Euboia, Leukas, and Kerkyra (Demosthenes, De Corona 18.237). Note the missing: Sparta, Elis, Aigina, Epidauros, and many more. The other side was dominated by the Macedonians, but there were substantial numbers of Thessalians as well as Argives and Arkadians (Demosthenes, Letters 4.8). In other words, as throughout so much of their history, the Battle of Chaironeia was Greek vs. Greek. Both are common Greek names used by hundreds, if not thousands of ancient Greeks. The name Philip comes from philippos or “horse-lover”; the fact that Philip II’s horses won so many victories at Olympia, Delphi, and elsewhere is probably a coincidence, but a happy one. The name Alexander derives from a combination of two Greek words: alexo (a verb meaning to defend or protect), and aner (man). Together the meaning is “defending men” or “protecting men”. For the same reason that the Athenians called themselves Athenians. When, for example, Demosthenes is speaking to his fellow citizens, he calls them Men of Athens (e.g. De Corona 18.251), not Men of Greece. Note that already in 479 B.C. on the eve of the Battle of Plateia, Alexander I, forced by circumstances to be in the Persian camp (as were other Greeks like the Boiotians and the Thessalians), secretly revealed to the Athenians the Persian battle plan. He justified this action by stating his care for all Greece because he, from ancient descent, is a Greek (Herodotus 9.45). Clearly Alexander has no doubt of his ethnicity. The question seems to derive from a statement by Arnaiz-Villena (who uses the term "Macedonians" to refer to the modern Slavic peoples who inhabit ancient Paionia): "Herodotus states that the daughters of Danaus (who were black) came from Egypt in great numbers to establish a presence in Greece." Herodotus mentions the daughters of Danaus twice (2.171 and 2.182) but says nothing about their color or number. In fact, according to Aeschylus, Suppliants 276-330, the daughters of Danaus traced their ancestry back to Io, a native of Argos. In other words, they were actually of Greek stock, and Arnaiz-Villena's history is wrong. We are not geneticists and have no expertise in the biological sciences therefore we are unable to comment about the validity of Arnaiz-Villena's genetics studies. However, you may want to look into a detailed evidence-based critique of his theories from both the genetics and historical perspectives: http://greek-dna-sub-saharan-myth.org/greeks-sub-saharan.html. End of Ancient Macedonian History FAQ.